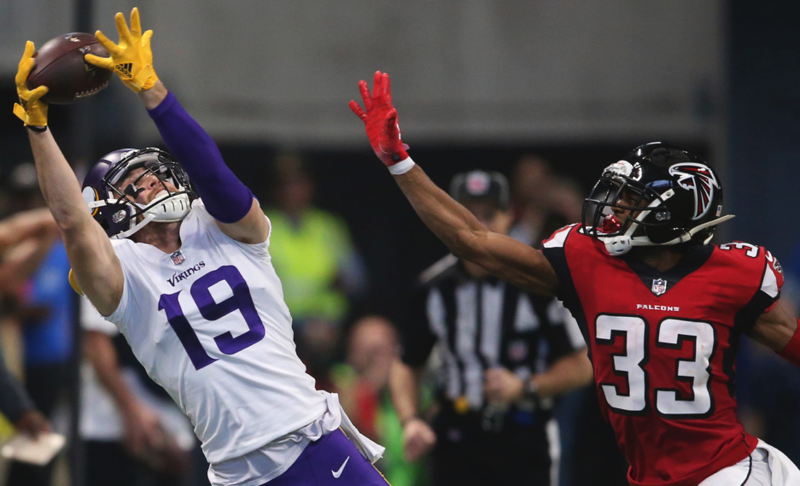 By virtue of a tiebreaker, the Minnesota Vikings have taken the top spot in the NFC. They are definitely deserving of it with an eight game winning streak and with victories against playoff contenders in their last three games. After their next game against Carolina, they finish the season against Cincinnati, Green Bay and Chicago. All three are either out or are one loss away from being eliminated from playoff contention. Defense is Minnesota’s claim to fame right now, but don’t overlook their offense. Even with a backup quarterback, they are well balanced and stacked at the skill positions. This will be a tight finish atop the NFC. 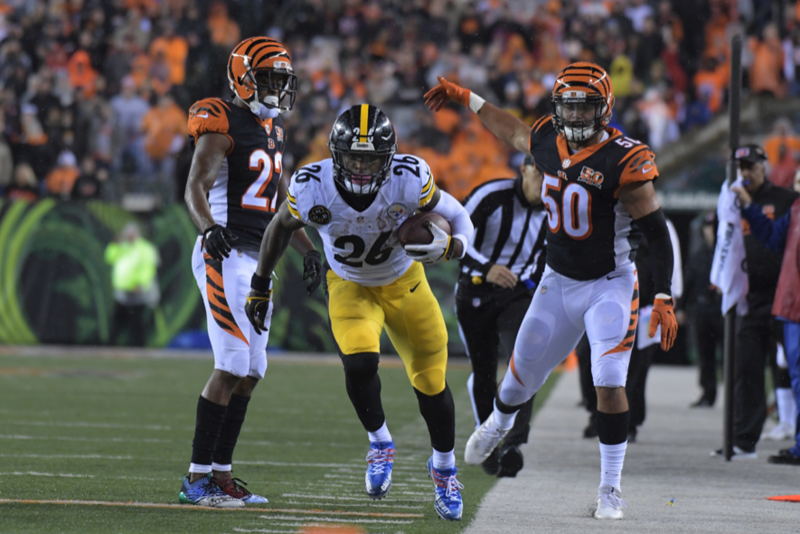 We could be talking about how the Cincinnati Bengals blew a 17-3 halftime lead on Monday night to their division rivals the Pittsburgh Steelers. Instead the question needs to be asked again; How do you like your football to be played? Seeing Steelers LB Ryan Shazier get injured while making a tackle was not pretty to watch. Neither was seeing Bengals LB Vontaze Burfict get blindsided to his head by Steelers WR JuJu Smith-Schuster or Bengals S George Iloka launching himself at Steelers WR Antonio Brown’s head. Yet, you can bet that when the Baltimore Ravens play the Pittsburgh Steelers next Sunday in primetime, the talk will almost certainly be about how these two teams don’t like each other and get ready for some good old fashioned smash mouth football. That same line was discussed about the Steelers and Bengals as well. It usually is when two division rivals get together. So I ask again, do you want to watch tackle football or flag football? They benched their once franchise quarterback who led them to two Super Bowl victories and now they fired their head coach and general manager. Enter their franchise quarterback once again to salvage whatever is left of their current 2-10 season. I get that they wanted to see what they had in the other quarterbacks on their roster, but they certainly could have handled the supposed talk to Eli Manning a little better. His career didn’t get off to the greatest start. If you remember, he orchestrated a trade away from the San Diego Chargers who had the number one pick in 2004. Sighting the chaos in upper management for not wanting to play in San Diego, Eli got his wish and was traded to New York. They didn’t exactly welcome him with open arms. He’s had some pretty average to subpar seasons in his career, but as soon as he was the guy, he never gave up on them. Starting 210 consecutive games is pretty remarkable no matter the sport. He also was flawless in their two Super Bowl seasons with him at the helm. That gets you a free pass in New York. 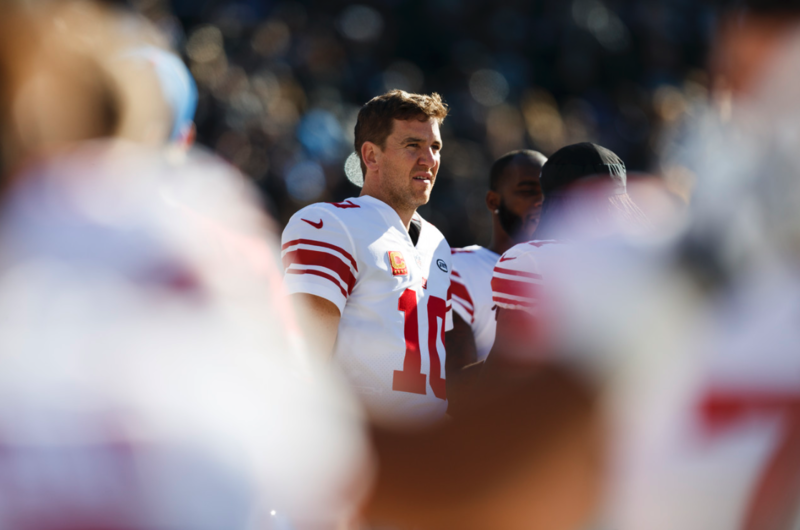 For all his flaws, Eli deserved better and he will get to finish this season on his terms barring an injury. Too bad Ben McAdoo couldn’t figure that out.